On our second day in London, we only had a few items to check off of our itinerary. Short of seeing Big Ben, The London Eye, and Tower Bridge, after we ticked those stops off of our list we thought we'd just kind of walk around and see what was what. As we were walking around, we were approached outside of the Tower of London by one of those off-site ticket sellers offering discounts on the regular gate admission. 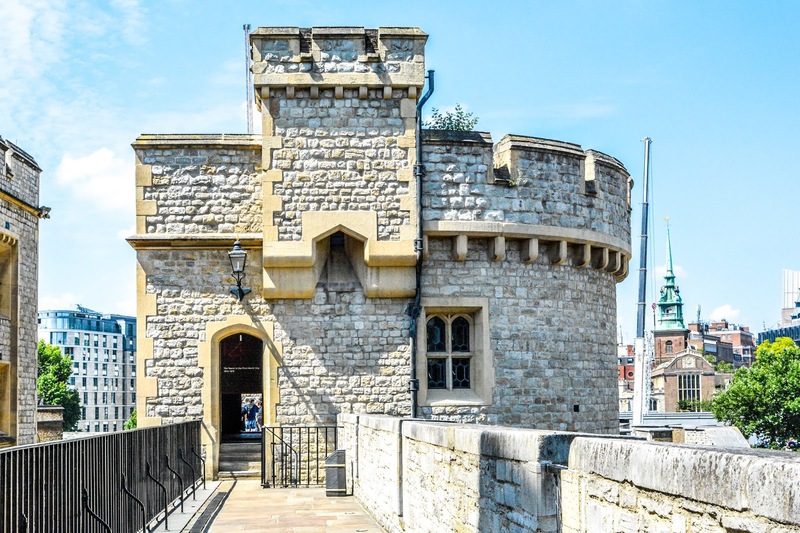 We kind of went back and forth, debating if we wanted to waste time going though as we really aren't fans of the royal family, and at first agreed we'd move along to something else. About 10 minutes later, we figured what the hell, and went back to the ticket guy and bought admission. Since Mariah had her school i.d., she was able to get the student rate, and Allison qualified for the child rate, so we paid right around $80 for the 4 of us to tour the grounds. 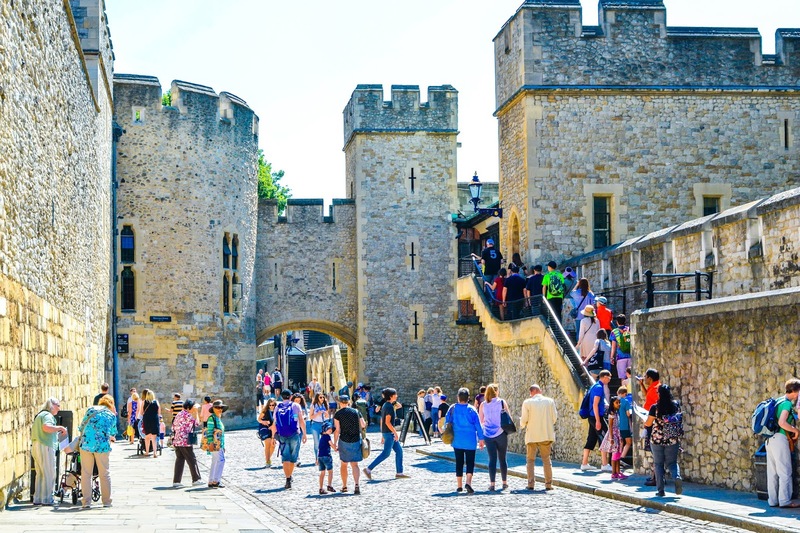 Even though it seemed like there were tons of tourists going in, the grounds are fairly large so everyone is spread out and you can move through the towers quite quickly. 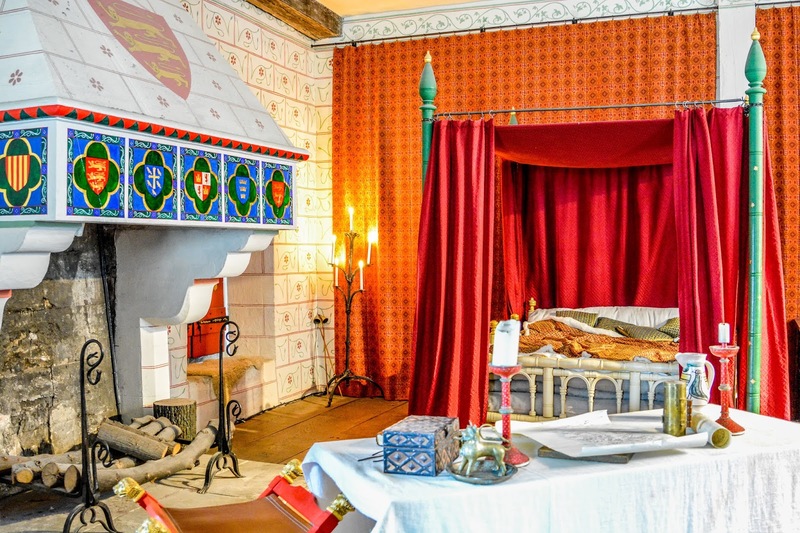 However, in the smaller tower rooms it can get a bit crowded if people choose to take up space reading the plaques and looking at the artifacts for prolonged periods of time, but we found that to be minimal. 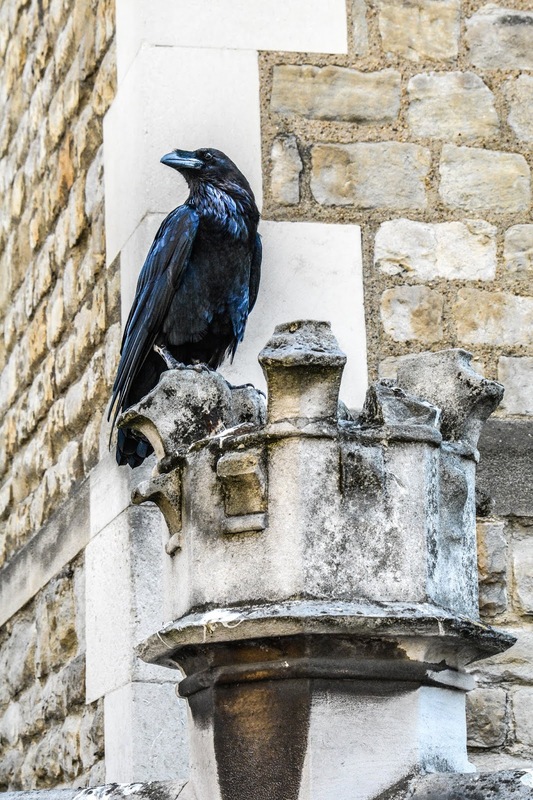 There are usually a group of 6 captive ravens that live at The Tower of London, and their presence is traditionally believed that they protect the crown and tower. Superstition says that should they fly away or get lost, the crown will fall and Brittan will fall with it. This raven was so chill, people were getting their phones up real close for photos and he didn't budge a bit. 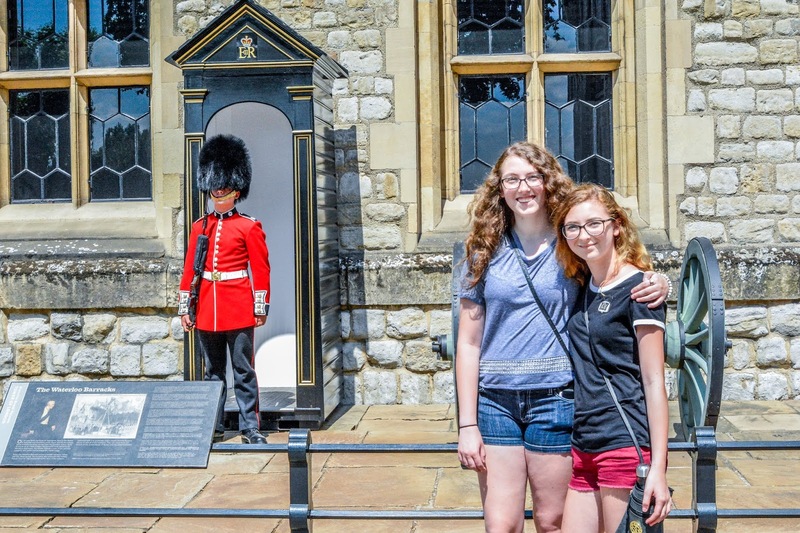 Since the changing of the guard happened earlier that day at Buckingham Palace and we missed it, the girls were quite pleased to see some of the Queen's Guards outside of the tower that guards the Crown Jewels. There was quite a long line to get in to see the Crown Jewels, but it actually moved fairly quickly for how long it was. I believe we waited about 30 minutes in line before we were able get in. 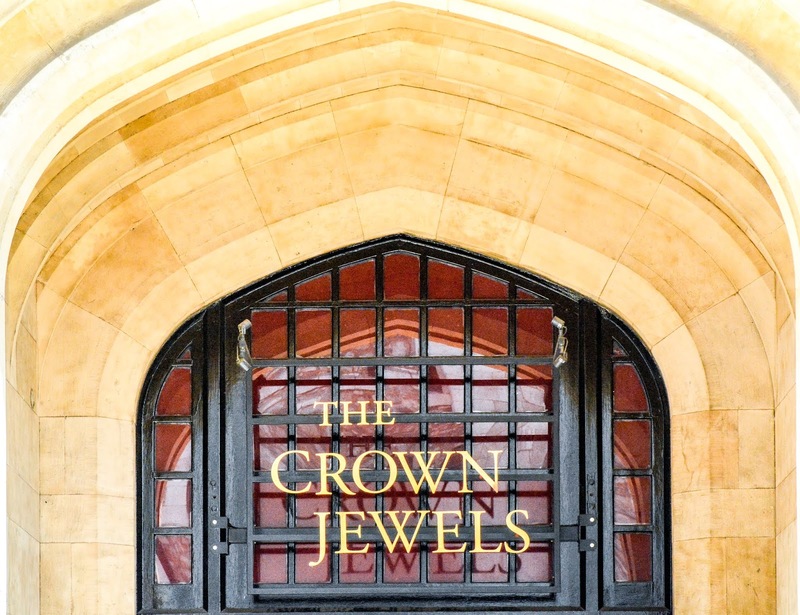 Any kind of photography or video is strictly prohibited where they house the crown jewels, so I wasn't able to snap any pics of those. There are signs everywhere stating this, but it didn't stop the lady in front of me from trying to snap photos, though she was quickly reprimanded by the employees there. 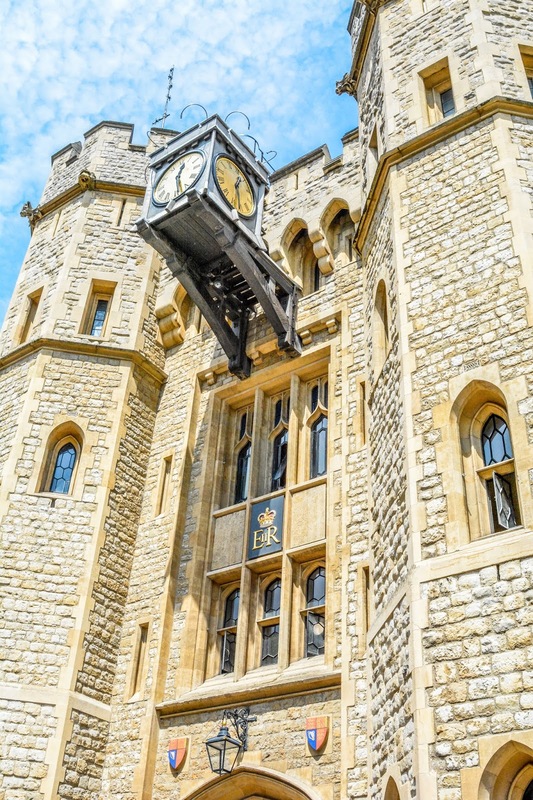 In The Crown Jewels Tower, you will see 600 years worth of royal robes, staffs, dinnerware, and other ceremonial regalia. You can take your time looking at these artifacts, but once you get to the actual royal crowns, you step on a conveyor belt to view them as you are constantly moving at a slow pace to keep the line down. 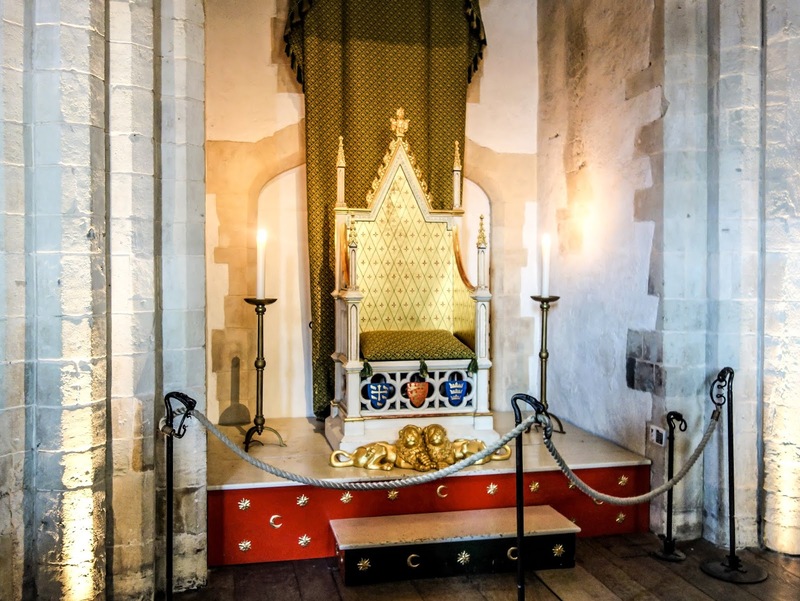 You can go back on the belt as many times as you wish, or if you choose, you can view the crowns from a small distance away on a carpeted platform. All in all, we spent about 2 hours at the Tower of London, which was well worth our $80 entrance fee. 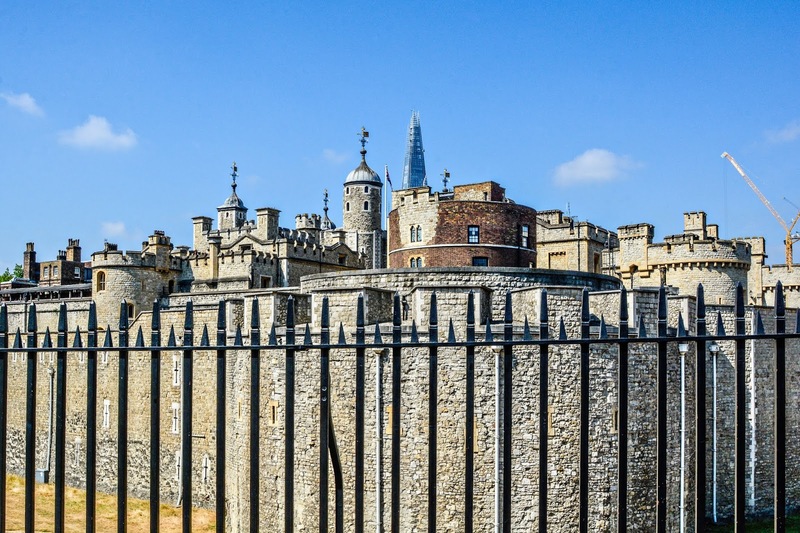 Even if you aren't into exploring the royal atifacts, you get some pretty spectacular views of Tower Bridge from the towers that almost make the entrance fee worth it in itself. 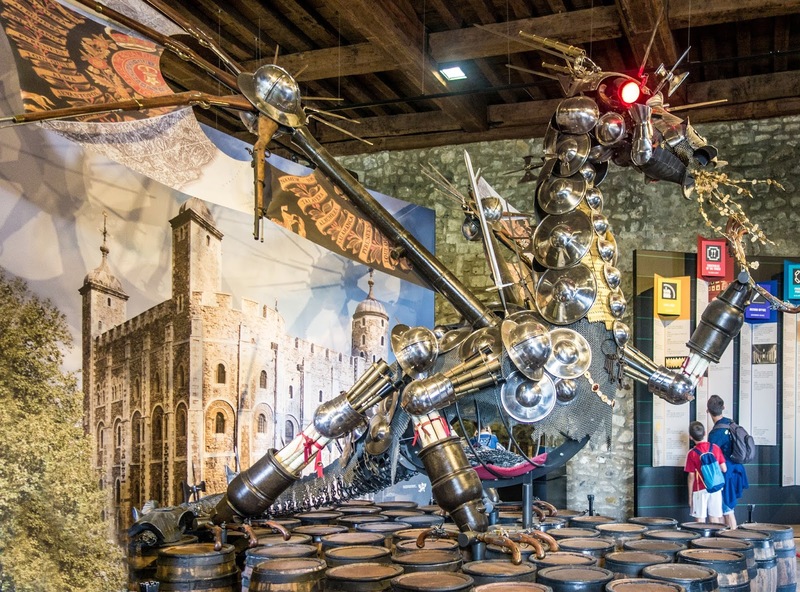 If you're headed to London and are on the fence about making a stop, I say go for it. We had a great time there and highly recommend! 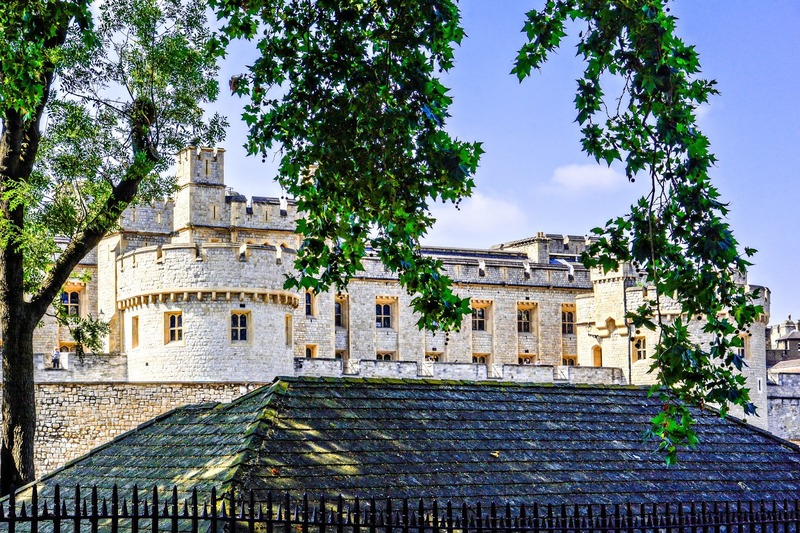 Would you be more interested in exploring the grounds or seeing the royal artifacts at Tower of London? I would like to visit it one day. It's quite a strange spot of British history. If I recall right Henry VI and Edward V were murdered there. I'm not sure about Edward V, but I believe you are correct about Henry VI. I do think you would enjoy a visit immensely, Adam. WOW it's so massive! I have never been there, but would like to go. I love your raven photo! The guards are fun shots too. I think if I could meet a royal person it would be Harry. He seems the most down to earth. I think I'd like to meet Katherine. She's got some great fashion sense. The queen looks like a lot of fun too. We thought the raven was fake at first, it was so still, but it eventually switched posts. Poor guards, imagine standing in the sun in that thick outfit! That bedroom has such a ghastly décor! How come none of you rascals ended up imprisoned in the Tower? It was so hot that day, I imagine they were boiling in those uniforms. The bedroom was hideous. Decor was so over the top and gaudy back then, wasn't it? Makes me wonder what they'll say about our decorating skills in a few centuries. We weren't trying to get locked up in a foreign land. But did you see the lady that crossed the rope to get a selfie and the guard came by and shoved her real hard? Made me laugh because she was such an idiot! I would love to visit one day! We took a trip to Europe last year, but we didn't have a chance to see the tower. I love historical sites like that. Wow, that looks like a great place to visit. I loved your pictures. Thanks for sharing. What gorgeous pictures you have here. I hope to go to London one day. We have tickets for this in a couple of weeks and your post makes me super excited about going. I am so into all the things royal and I can't wait to visit! That looks so cool! What a great place to explore! These historical vintage towers feels like you stepped back into time. Feels very whimsical and royal! We went here in 2009! Wow...it's 9 years ago already. We also really enjoyed the tour and the history! 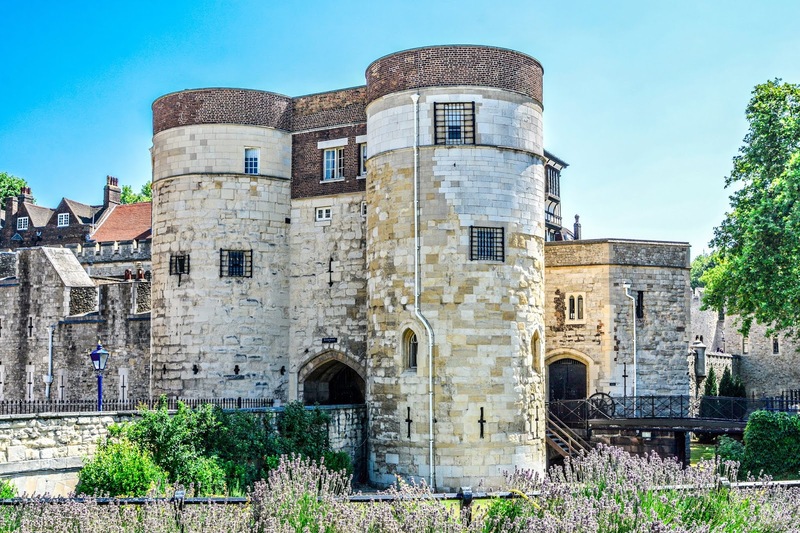 I would love to visit the Tower of London someday! I love the pictures you shared here. Wait.. you step on a conveyor belt? You're making me miss London so badly with your beautiful pics! I'd be interested in seeing the royal artifacts. What a great picture of the raven! 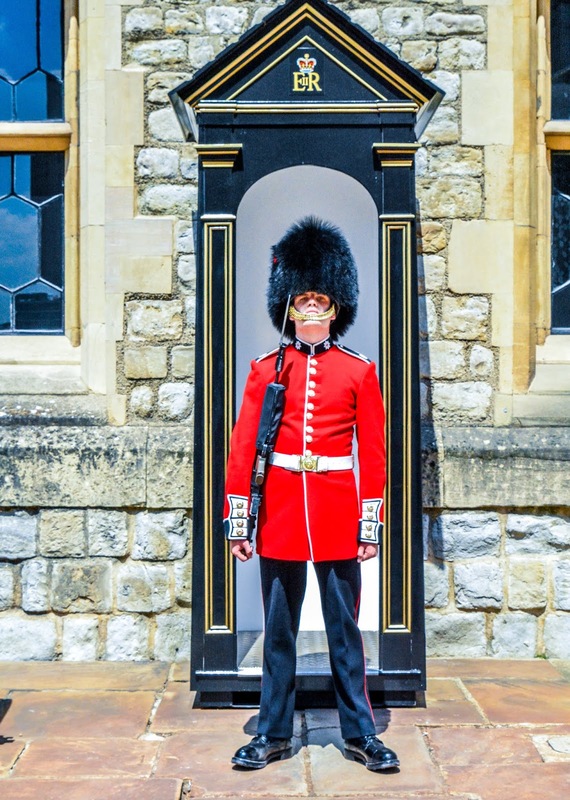 I imagine that being a guard there has got to be boring! 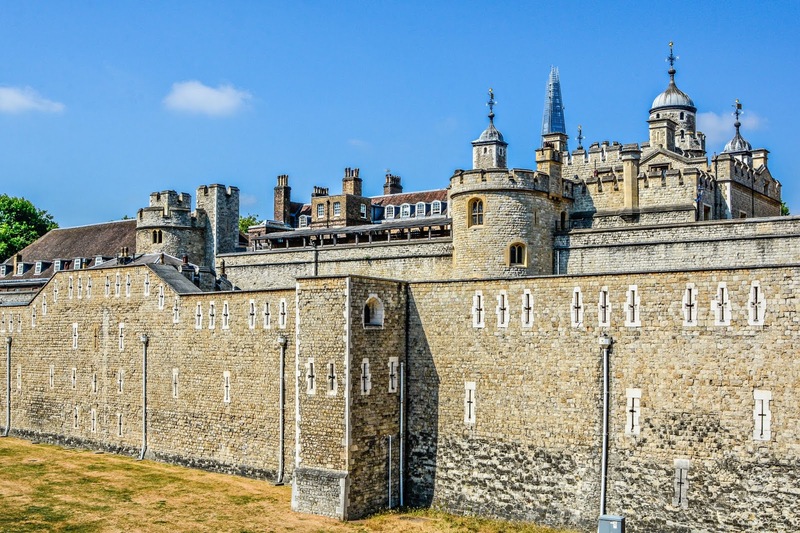 I've been to the Tower, but it was years ago - I was in 9th grade, and although I enjoyed it, and had a great time I would LOVE to go back and check it out again. I would appreciate it all so much more now as an adult. I did see the crowned jewels, although back then they didn't have a conveyor belt. I don't remember seeing some of the items above which makes me think we explored more of the grounds, but again...it was sooo long ago. I've only been to London that one time, but it is on my bucket list to do again...it is an amazing city with so much to do!